Baker Lake, or Qamani'tuaq, is situated inland, at the huge widening at the mouth of the Thelon River, close to the geographic centre of Canada. 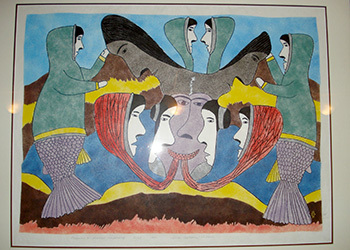 Baker Lake is very well known for its Inuit arts and crafts community. Baker Lake has two heritage rivers that empty into Baker Lake; the Thelon River and the Kazan River. These two rivers plus others around the area are attractions for adventure travellers who canoe these rivers in the summer. Baker Lake has two visitor centres. 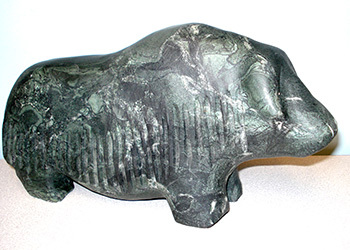 The Akumalik Visitors Centre is open seasonally during the summer and the Inuit Heritage Centre is open year round. Both are worth going to visit to learn more about the culture of the area. Baker Lake also has a huge natural resource industry, which has a significant impact on the economic development of Baker Lake. The development of the Meadowbank gold deposit, has already created numerous local jobs. This mine is located north of Baker Lake and is linked by a 110 km all-weather road.